Alright, alright, everyone settle down. 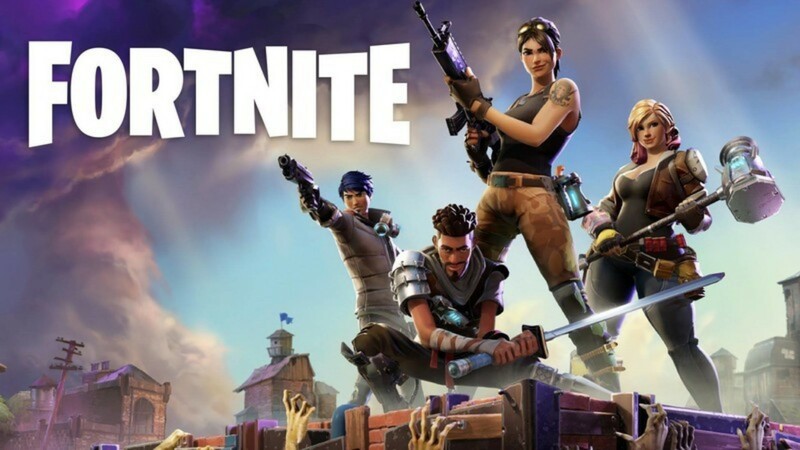 Fortnite is indeed here, but if you have been paying attention to the buildup to this release, you will know full well that it won't be available on the Play Store. It is however available on the Galaxy Apps store, and you can even get to the initial download from Samsung's Game Launcher application. You will need a recent Samsung device for this access, so as long as you own an S7, S8, S9, Note 8, Note 9, Tab S3, or Tab S4, you should be golden. First, you will download an installer, which is small and takes almost no time to complete. But then you will need to actually install the game, and that comes in at 815 MB. Once you finish your download, you will be greeted with a screen that asks for your Fortnite account. There are many ways to sign in, such as with a Google, Facebook, Epic Games, Playstation, Xbox, or Nintendo Switch account. So if you have played before, you should have no trouble signing in. Oh, and if you were wondering how the in-app purchases will work, well, they look to be tied to your Samsung account. So if you haven't set up a payment method in the Galaxy Apps store, you will want to do so if you're going to purchase anything in the game. Now, I'm not sure if this will change after Epic lists the APK on its own site after this exclusivity deal is over, but I would imagine Epic will provide another way to pay sometime in the future. And there you have it. Epic's battle royale hit Fortnite is finally available on Android, though only Samsung users can play for now. A beta for further device support is in the works, and you can sign up here. In the meantime, APKs of the installer and game will undoubtedly start showing up on all of your favorite APK hosting sites in the next few hours, so why not grab them from a reputable source like APKMirror? Here is the installer, and here is the full APK.